takes to input the institution’s name, you could be accessing the insights that will establish you as their trusted advisor. banking and we speak the language of financial institution executives. the way these execs speak and operate. or fast facts for a prospect call; our FI Analytics have you covered. 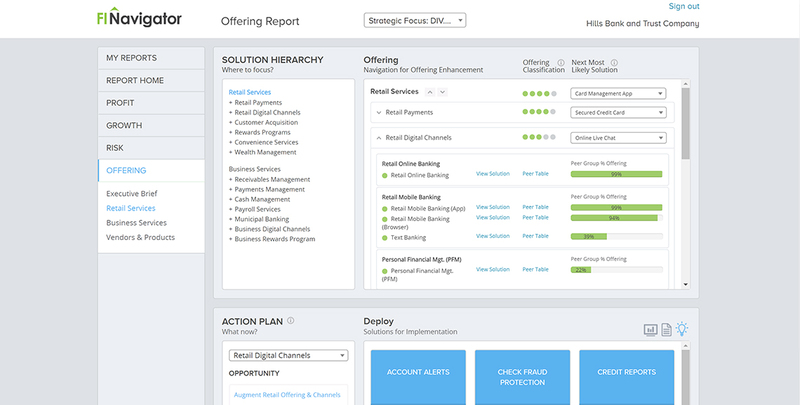 Instantly generate a complete consultative assessment of any U.S. financial institution’s profit, growth, risk, and customer offering generating primary opportunity themes, specific strengths/weaknesses and even custom solution category recommendations. As the name suggests, FIN Advisor instantly positions users to render advice and the analytics serve as the foundation for account or strategic planning. 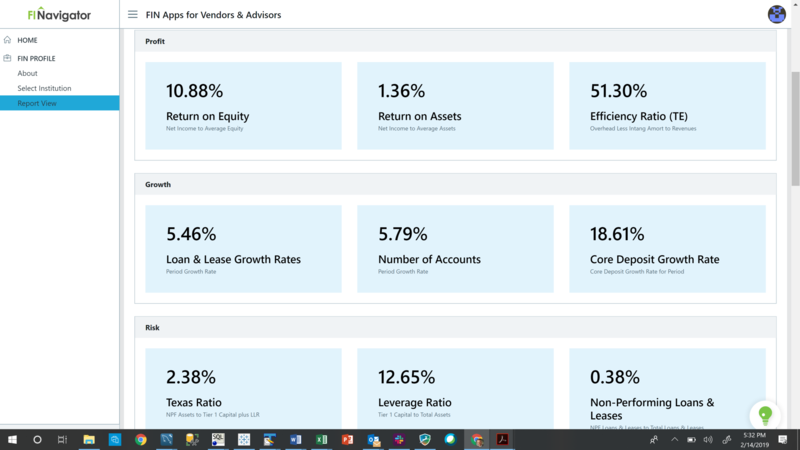 Make the vendor-to-advisor transition by leveraging FIN Advisor’s powerful planning foundation. 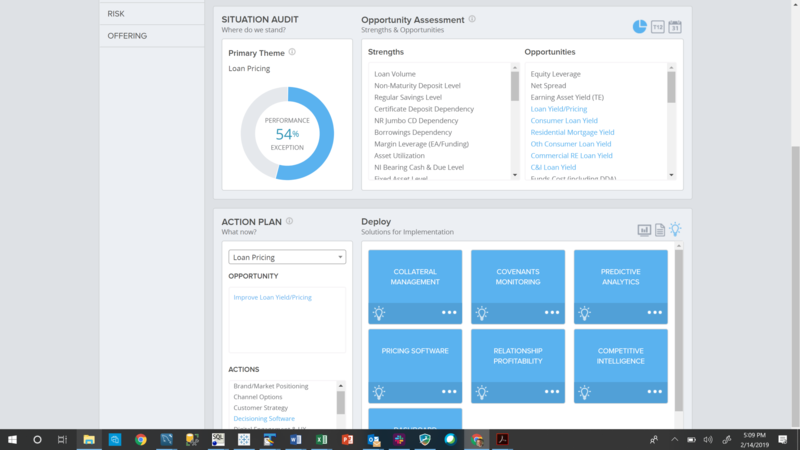 FIN Reporter delivers complete control to vendor users on reports, metrics, peers, time spans and graphics to create custom content for any meeting scenario. Transform unprecedented data into presentations that garner C-suite attention and fit any meeting time frame. Compare and contrast any institution’s performance against peers or stand-alone trends, then zoom in on specific metrics that matter most during the conversation. Engage FI clients and prospects with differentiating meeting content that resonates and creates the impetus for action. 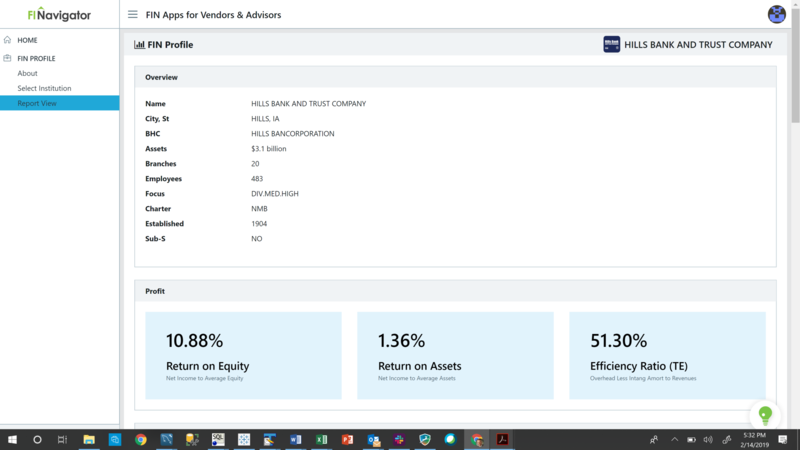 Rapidly assemble the high-level facts on any institution’s profit, growth, risk, and offerings with FI Profile. 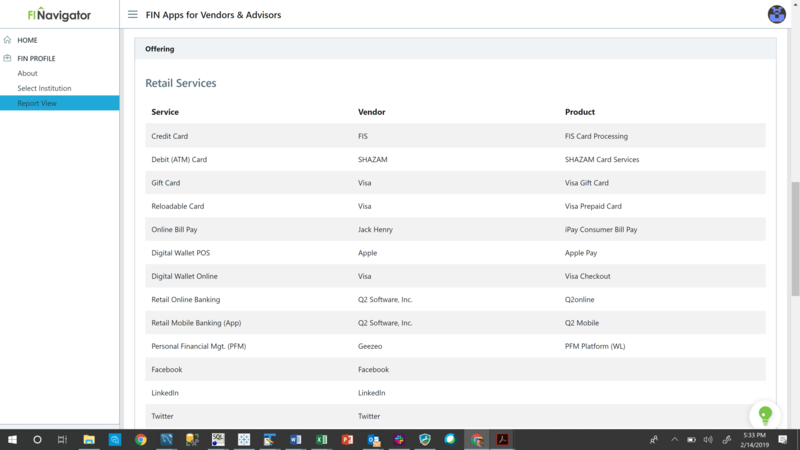 The analytics condense comprehensive institution analysis into fast facts on any institution’s firmographics, performance and known vendor-product relationships to fit any call or meeting context. 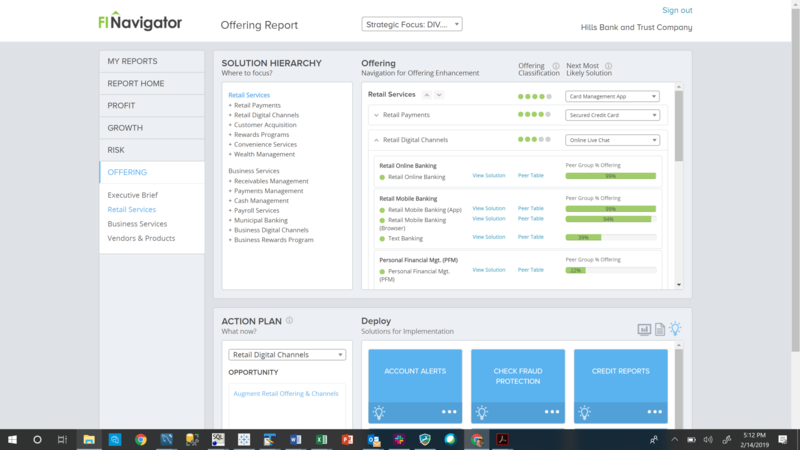 Instantly get up to speed on any financial institution to engage intelligently on your next call.